Are you still looking for a great venue for your child's upcoming birthday? 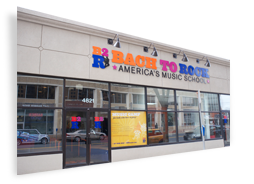 Bach to Rock in Leesburg, VA is the place to be for all music and fun loving kids! We have party options for all ages and music tastes. Come out to one of our upcoming events around Loudoun County and see our students perform at venues like Atomic Trampoline and Bush Tabernacle! Our staff will be available to answer all your questions about booking your next party at Bach to Rock. Contact us any time at 571-333-0840 or lansdowne@bachtorock.com.